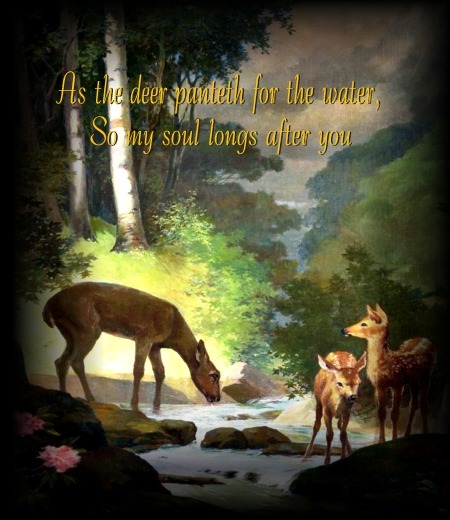 As the deer panteth for the water, So my soul longs after you. You alone are my hearts desire And I long to worship You. You alone are my strength, my shield; To You alone may my spirit yield. You alone are my hearts desire, and I long to worship You. You're my friend and You're my brother, Even though you are a King. I love You more than any other So much more than anything. I want you more than gold or silver, Only You can satisfy. You alone are the real joy giver And the apple of my eye.